There is a good reason why teen auto insurance quotes can be so costly. According to the American Automobile Association (AAA), these drivers consistently rank the highest for accidents on the roads. One study conducted by the AAA showed that over 94% of teen drivers are well aware of the deadly consequences of texting while driving, yet an alarming 35% of those same drivers admit they will do it regardless. This is just one of the reasons teen auto insurance premiums continue to get higher in some states, but that doesn't mean you have to pay those high rates. Consider a few of these tips for cutting insurance costs for the teen driver. By raising your collision and comprehensive deductibles to $1,000 or more, it will help to reduce your premiums for teen car insurance. Putting away a few dollars away in savings each month, you should be able to build up a nest egg to cover the extra deductible in the event there is an accident. In addition to taking driving classes, there are several safety driving classes available that could have a direct impact on the cost of your insurance premium. Check with your insurance company first to see what classes do qualify for a discount, then register into the classes and submit the certificate once the class has been successfully completed. Educating a child on the deadly consequences of texting and driving could help to keep your child from being one of the eleven teens that will die today as a result of their texting and driving. Not only will purchasing a safer car allow you to sleep better each night, it will have a huge impact on the amount of money you spend in teen auto insurance rates. The best way to make certain the car you buy for a teen is going to result in a nice reduction in insurance premiums, check with the Insurance Institute for Highway Safety and see the ratings they give for the vehicle. If the vehicle is very old, drop the comprehensive and collision coverage because they may only be worth a few dollars more than the deductible. Kelly's Blue Book is another good source for identifying the value of the older car. Talk with your teenager about keeping up their grades. The majority of insurance companies will offer a significant premium discount to teen drivers who are able to maintain a B average through high school and into college. College teens often need to have 12 or more credits to qualify for any reduction in their premiums. Many teenagers head off to college but still want to be able to drive when they come home on breaks. If your teenager is attending college more than 100 miles from your home and does not need the car at campus, there is an opportunity for you to get a substantial discount on the teenage auto insurance. 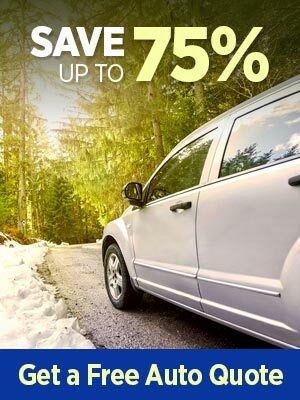 You will enjoy a reduced insurance rate while your child enjoys the ability to drive when they come back home during their vacation from school. If you have a teenager getting ready to get behind the wheel, one way that you can reduce your insurance premiums is to consolidate your homeowners and auto insurance with one company. Speak with your insurance agent about their umbrella policy coverage, where you will be provided extra liability insurance above your current limits. This can come in very handy with a teen now driving in the family. Just because you saw a commercial for teen car insurance quotes and connected with the actors or the message, take the time to shop around for the best coverage and prices. There are many insurance providers who specialize in teenage drivers, so take some time to compare policies and look for the best deal for your particular needs. Just because the insurance provider gave you and your spouse excellent rates, does not mean their teenage driver rates are compatible.